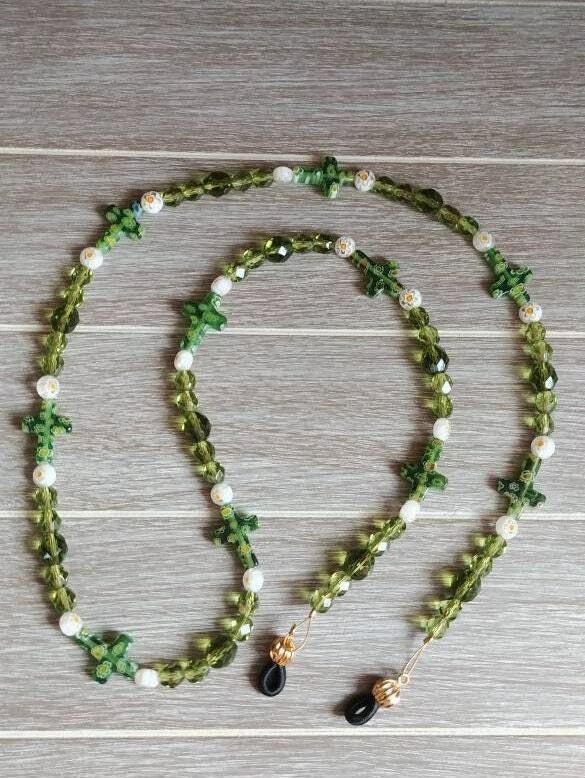 This eyeglass chain is a beautiful religious piece, in olive green color. 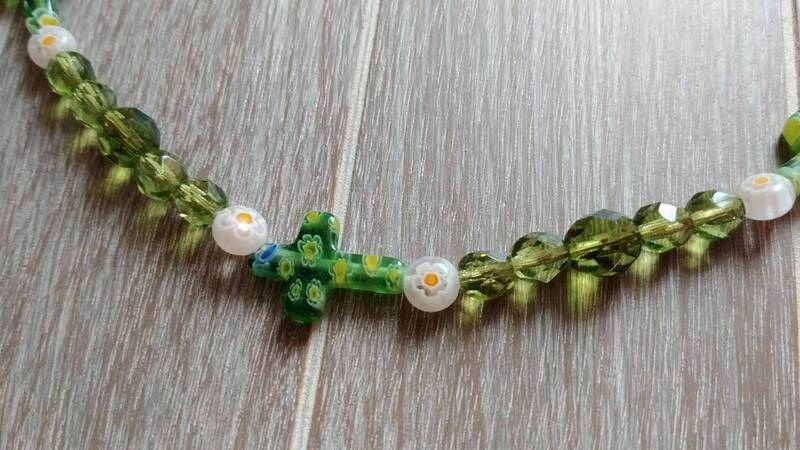 It has subtle millefiori cross beads that make it so unique. 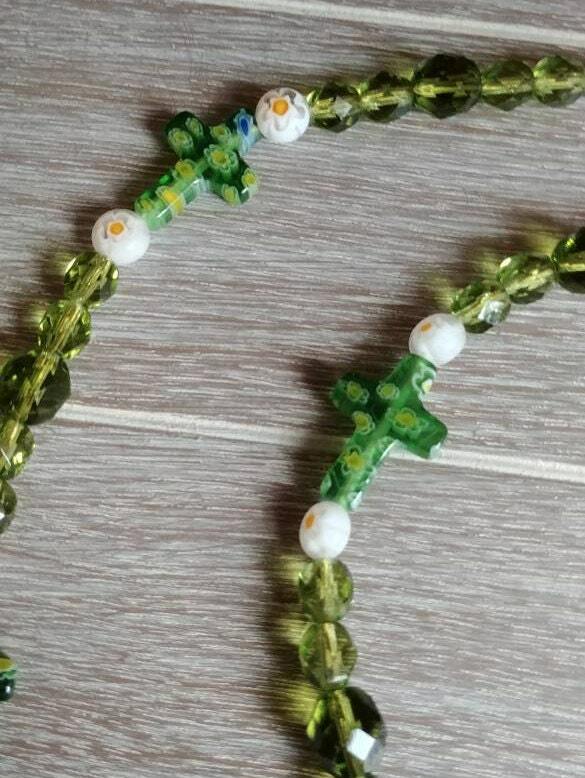 This eyeglass chain would make a wonderful gift for that loved one who is religious and wears glasses. 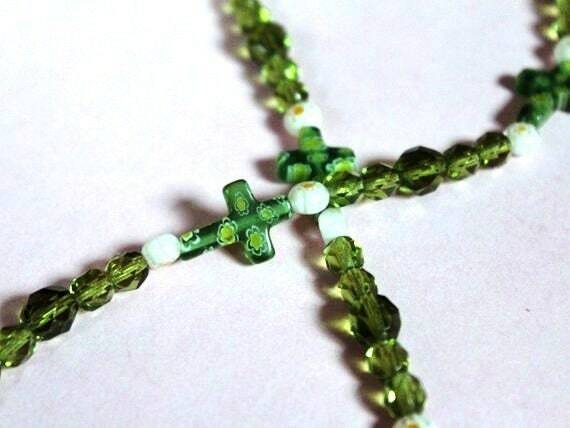 It is faithful, practical, and useful! 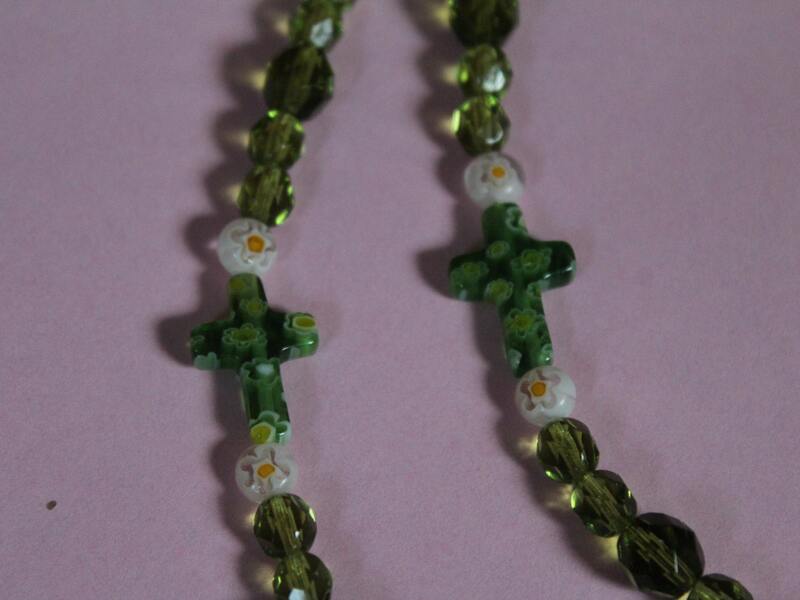 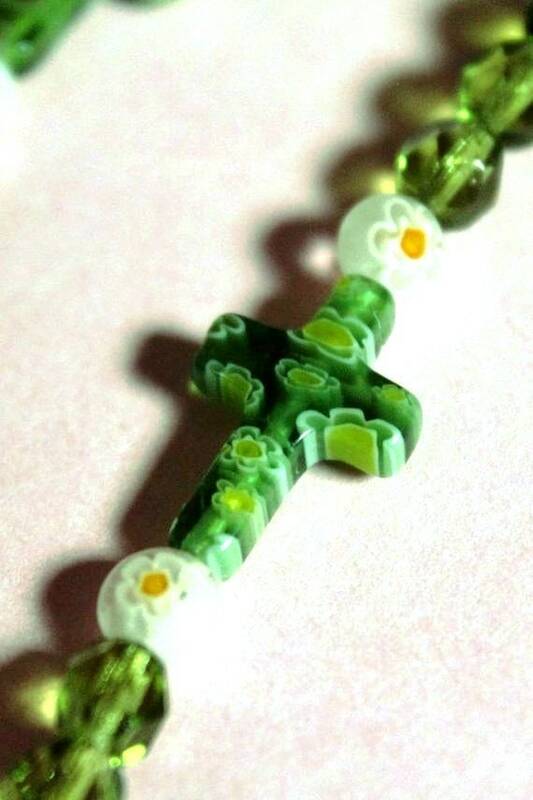 The cross millefiori beads are approximately 3/4 inch tall.